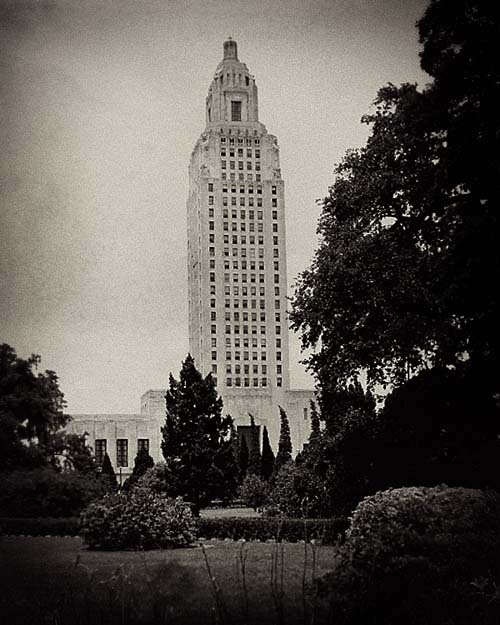 I googled baton rouge Louisiana capital building images and the top looks just the same. The buildings in LA were slightly different at the top. Frank…I don’t know what it is, but this is not the L.A. City Hall. I worked in Los Angeles for over 30 years. I’ve been in the building…at the top of it…inside the top of it and even have it on my police badge. This is not it. Your photo looks closer to the Beverly Hills City Hall, although I still don’t think that’s it either. Check out the first below link to a 1931 photo of the L.A. City Hall, and the other, to a modern view of it.